Act IV Music - FAQ: Why Live Music? We think it's better with a band! Real musicians playing live music can create a sense of excitement that turns an ordinary evening into something special. 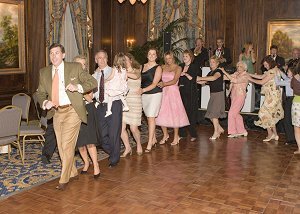 Whether it’s soft music that enhances the mood or fun dance songs, a professional group knows how to pace a party and will keep things lively. 2) Will I be able to speak with the band leader directly? Certainly. In fact, we encourage you to set up an appoinment and meet face to face with your band leader. It will give both of you an opportunity to get to know each other and discuss the musical requirements of your event. The more you share your vision of the party, the better equipped your bandleader will be to help you realize it. 3) Will you take requests? Yes. We are happy to include into the evening’s repertoire many of your favorite songs. We pay close attention to special requests such as “the first dance” and the “parent child dance.” Some of our clients like to give us a list of songs they would like or not like to hear played. That’s fine. But don’t feel obligated to create a “set list” for the band. That’s our job. We never pre-plan a song list because the band likes to be spoanteousl and go with the flow of the party. 4) Where can we see the band perform? Most of the engagements we play are private parties. You are welcome to observe us at an event pending approval from the party’s host and the venue. Bear in mind that every party is different; the dynamics and requirements change from one event to another. We encourage you to view our promotional DVD, and audio CD. Then have an -in-depth meeting with the bandleader. Most of all, check out the thank you notes and letters of referral from our very satified clients. 5) What Styles of Music Do You Play? We are a variety band and proud to say we have a huge repertoire. Our song list covers many genres of popular music and jazz. But it’s just part of entire repertoire. If there is aparticular song or style of music you would like to hear, don’t hesitate to ask. 6) Will the band leader I hire persoanlly be at my event? Talented musicians are a must, but a party’s success hinges on the ability and experience of its bandleader. Once ACT IV accepts an engagement we are committed to be there for that night. We don’t believe in “farming out a job.” Barring illness or extenuating circumstances you can count on us to be there. That is the advantage to hiring a professional. Many members of ACT IV’s talented personel have been with us for more than ten years, allowing to maintain the highest levels of quality and musicianship. 7) How long does the Band Play? The basic time frame is usually 4 hours for the reception. If there is a cocktail hour, you may want to use part of the band to play for that as well. There are a number of other options including music for your ceremony. Be certain to dicuss those with your bandleader. 8) How big a band do I need? The number of musicians is dependent on several things - the number of guests, the size of the room, and styles of music that most interest you. ACT IV can provide anything from a soloist up to a 12 piece variety band. Our basic seven piece group consists of piano, bass, drums, guitar, saxophone, trumpet, and female vocalist. Several of our musicians sing as well. Please take the time to discuss the various options with your bandleader. In that way, you can choose a group that is appropriate to your event and your budget. 9) Can You Perform for Wedding Ceremonies? Yes. We are happy to assist in this area. 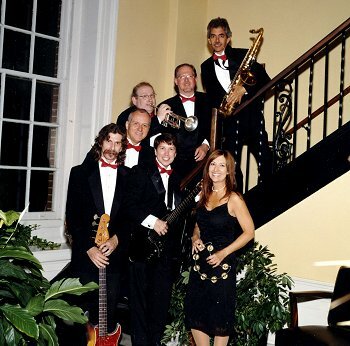 Brides often engage the services of the band’s keyboard player and the reed player who also plays flute. A violin is another option as well as a string quartet. Some people prefer a solo harp or classical guitar. All the above can work in various combinations. 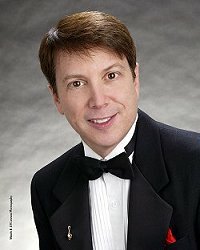 Your bandleader should be able to offer advice as to song selections, and the order of things during the ceremony. 10) Will the Band Leader Make Announcements? Dennis Scott regularly serves as Master of Ceremonies. Great attention is paid to details of the entire wedding as well as the music. By working closely with you, your photographer, videographer, and caterer he will help insure that that everything runs smoothly. Thank you you taking the time to view our web site. I want you to know how much we appreciate your business. Your event is unique and I personally endeavor to treat each party as if it were my own. I am proud of the fact that we have contributed to the success of numerous weddings and events - turning those times into cherished memories. Act IV Music is Nashville’s best kept secret. I hope allow us the opportunity to share our experience and talent with you and help make your affair an extraordinary one.